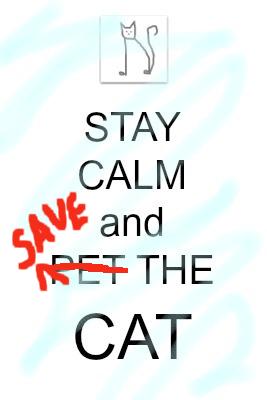 Specifically, I got this beat sheet from Blake Snyder, of Save The Cat. If you haven’t read the blog dedicated to his theories, I highly recommend it. Even if you don’t write screenplays, what he has to say about writing is most useful. In my everlasting quest for the easy way out learning new writing techniques, I copied this beat sheet from Mr. Snyder. It is, indeed, a thing of value. The numbers in parentheses are the number of script pages one should take for these things to happen. The explanations are the ones I use for myself. 2. Theme Stated (5): What’s the story about, underneath the plot? Don’t state it, show it, at least with hints, by pretty early on. 4. Catalyst (12): a.k.a. (Also Known As) The Inciting Incident — what gets the story/protagonist moving? 5. Debate (12-25): What should be done? The debate can be internal, external, or both. 6. Break into Two (25) Everything changes. Setting change, time passes, something is different. 8. Fun and Games (30-55): Things seem to be going well. 9. Midpoint (55): Everything crosses paths. 10. Bad Guys Close In (55-75): Says it all, doesn’t it? 11. All Is Lost (75): SEEMINGLY. Things seem to be going ill.
12. Dark Night of the Soul (75-85): There seems no hope. This is where the protagonist finds out what he or she is made of. Sometimes, this is where the ANTAGONIST finds out the same thing. 13. Break into Three (85): Another change. 15. Final Image (110): Jane! Boy! Look at Cheetah! Ha-ha-ha-ha-ha-ha-ha! A WRITING PROMPT FOR YOU: Outline a story using this beat sheet. Right there on one page to stare at as you work! Alway likes me a good Tarzan reference! Really nice post! Really nice beat shee. Adi would love to share..Did You Know That Solar Power Plants Are Roasting Bird In Mid-Air? Shocking! It’s a good way to think about story before starting to write, even if you don’t actually write things down. Organization is what I need, and this is a good tool for that.